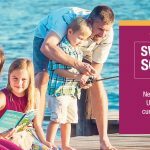 I read this article and wanted to share it with you: How to Know When It's Time to Switch Homeschool Curriculum https://blog.sonlight.com/switch-curriculum.html. When we decided to homeschool, I knew that the perfect curriculum was out there somewhere, and I was absolutely positive I would find it. Then we started homeschooling. I quickly realized that there is no easy, one-size-fits-all solution. Thankfully, after that first really tough year, we found Sonlight. It was a great fit for our family and has been since then. That year, we immersed ourselves in World History via Condensed HBL B & C, and we loved every minute of it. We also chose Horizons because it was a solid math program with plenty of spiral review. What I didn’t take into account was that my oldest son hated to write. Most days, just the sight of the work page was enough to start the tears flowing. We hung in there with it for months, hoping he would get used to it, but he never did. The great thing about that time is that I learned a lot about my son. I learned what helped him succeed and what held him back. I saw him soar with the Read-Alouds and the simple Sonlight Language Arts assignments. I saw him struggle through the lengthy math pages. I found that even when I cut out half the problems, just the sight of the page was overwhelming for him. It was a learning year for both of us. 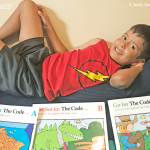 The next year, I found Right Start Math, and my son and I absolutely loved it! Within a few days, he went from hating math time to anticipating it. The hands-on nature of the course and the simple, sparse work pages were something he knew he could do. He was feeling success for the first time in math, and I could not have been happier. 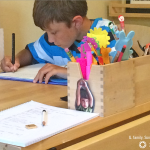 Over the last seven years of homeschooling my four children plus a few extras along the way, I have learned a lot about regularly evaluating your curriculum choices. Here are a few keys to remember when you are wondering if it's time to change curriculum or stick with what you've got. I shared above that my son did not do well with Horizons. Well, when my daughter came along, she did not do well with Right Start! The first time I laid a colorful page of Horizons math problems down in front of her, I knew that she was vastly different. She came alive, adding her own flair to the illustrations and happily making sure that she used her best penmanship on each problem. I realized that I had made a mistake. Because of my son’s experience with Horizons, I had assumed that it was a bad curriculum. Actually, it just wasn’t right for him, but it worked just fine for my daughter. So the first step is to understand that there is no one-size-fits-all curriculum. What works for your neighbor may not work for you. On a smaller scale, what works for one child may not work for the next child. Understand that you may not get it right the first year, and maybe there will be hiccups along the way, too. After all, kids grow and change. That’s okay! What you will want to do is to become a student of your student. Learn what makes them tick and what makes them wither. You may even keep a journal about how they are learning, what is working best, and what they are struggling with. I truly delight in knowing my children well. It serves me well when I am choosing their Christmas gifts and when I’m choosing their curriculum. For example, I know that my oldest son can cover a lot of material if he enjoys the book. I also know that he needs to see the value in his work. He is not a fan of busywork in any form or fashion. He also loves to know why something works. In math, he doesn’t want to know how to do it. He wants to know why it’s done that way. My youngest son is a true science buff. He will do anything if you can relate it to science. In math, he is much less analytical. He gets bogged down with the why and just wants to know what's required of him. My daughter excels in writing and would rather write than just about anything else. She loves creativity and appreciates anything that allows her to exercise the creativity coursing through her veins. My youngest child is really bright and gets easily bored with schoolwork. She needs a challenge, and she likes to move and wiggle. All of this information drives my ability to make informed decisions about their curriculum, and it helps me to stay tuned in to their potential struggles. ...don’t fix it! If your curriculum is serving your children and you well, don’t change it! I have made this mistake more times than I’d like to admit. Shiny curriculum catalogs and pretty websites are sometimes hard to resist. Everything looks so good! But, don’t be easily swayed when things are working. Most of the time, the choice to abandon ship on a curriculum when nothing was broken is a choice that leads to wasted time and money. 5. Does it Fit Your Teaching Style? Does your child’s curriculum work for you at this stage in life? Are you learning and growing alongside your child? Are you frustrated by it? Over the years, I have switched various parts of our curriculum several times, and the conclusion that I have reached through all the trial and error is that there is something to say about simply being consistent. 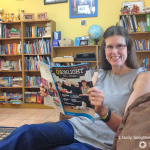 For a short time, I became convinced that Sonlight Language Arts wasn’t enough, so I began looking around and trying other language arts curricula. Once my search was done, I had realized two things. First, the grass was not, in fact, greener on the other side of the fence. There was nothing that proved to be a better fit for our family. Secondly, the time I lost while looking for the perfect language arts curriculum cost my son. The lack of consistency in instruction created gaps in his knowledge that we had to go back and correct (with our beloved Sonlight Language Arts!). So be careful when you evaluate your curriculum and honestly consider your motives. Make sure that you aren’t just wanting something new. Be sure there is a valid reason to switch. I’m thankful for the wisdom I’ve gained from my successes and my mistakes in homeschooling. I’m thrilled to be able to share these so that maybe some of you new homeschool moms and dads will not make the same mistakes. I’m thankful for the voices that did this for me in my early years ,too, even though I didn’t always listen. Remember, when you do make mistakes, it’s all part of the journey. 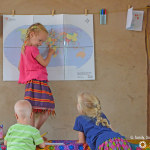 Homeschooling is all about studying your children and knowing what makes them tick as well as knowing yourself better. 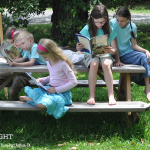 Homeschooling teaches you to lean on God as you pray for Him to give you the wisdom and serenity to set your hands and heart to the task before you. Ready to Switch? Learn more. 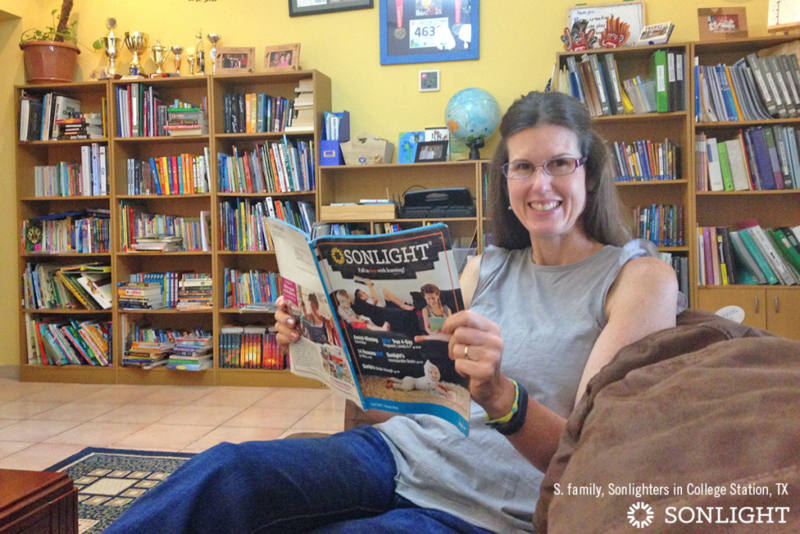 Curious to see what Sonlight might look like for your family? 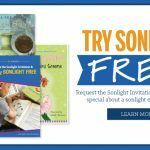 Try Sonlight FREE and see for yourself firsthand!